Jump into the magical world of Arden to save the day in the chilling, seventh chapter of the epic Amaranthine Voyage series. If you have played any of the previous six, then you should be familiar with the main character, Eve Glover. She had inherited his home and one day, after putting in several hours of hard work, she came home exhausted and ready to relax. She is a world trotter with a beautiful green complexion who works hard and plays hard. You can definitely see the creativity of Eipix Entertainment (her designers) coming out in this game. 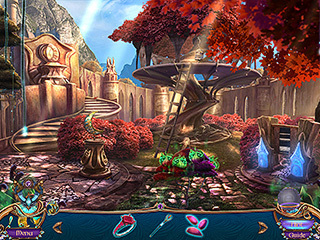 If you are not familiar with this run of Hidden Object Puzzle Adventure games, then Amaranthine Voyage: Legacy of the Guardians Collector's Edition is a fine spot to jump in and get your feet wet. Eve Glover had a beloved grandfather who liked to tell tall tales… but maybe they were not quite as tall as they seem. She had inherited his home and one day, after putting in several hours of hard work, she came home exhausted and ready to relax. But then, a mysterious blue ball with yellow glowing stripes appears in her back yard to call her to the twisted world of Arden. Oy vey! An evil being is committing horrid acts of tyranny out there and not the responsibility has fallen upon Eve Glover to save the day. Can you take up her role, go to this new world, and save them from this awful entity before it is too late? If you will go ahead and get the Collector’s Edition, you will find that there is much extra fun to be had. There is a bonus game in which you will have the opportunity to travel back to Arden and destroy an evil artifact before it brings about even more havoc to this peaceful world. 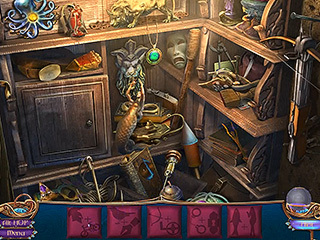 There is a souvenir room where you will be able to stash the nifty little trinkets that you can pick up along the way. There are all sorts of collectables along the way. Can you find them all? 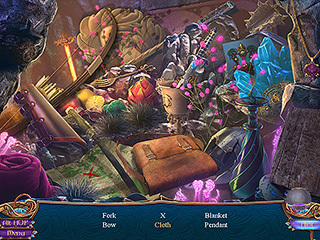 As a bonus treat, there is downloadable media that you can keep even after you beat the game to give a mystical feel to your computer. Check out Amaranthine Voyage: Legacy of the Guardians Collector's Edition! This is Amaranthine Voyage: Legacy of the Guardians review. Download this game here.